Sector limitation in 2D: The system monitors and will warn the operator if the crane approaches the slew limits, Clockwise (CW) limit or the Counter Clockwise (CCW) limit. 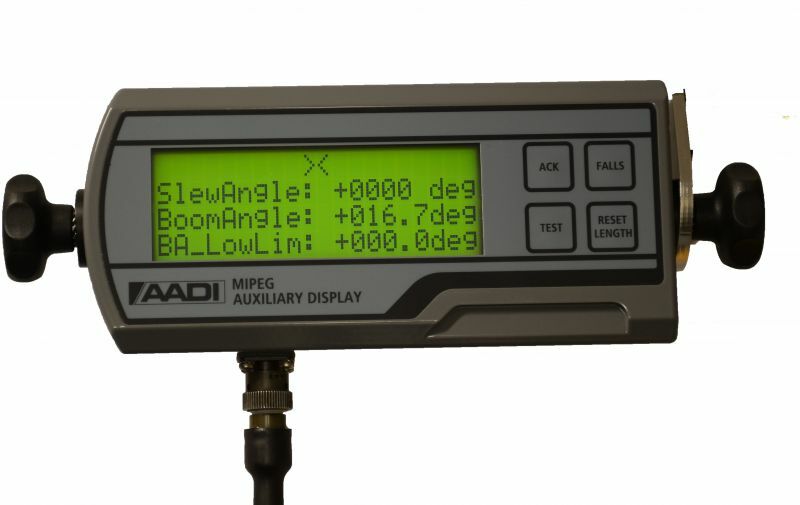 Mipeg 2000 system, the unit may be set up as a 3D monitoring system. This will act as the sector limitation featured above but additionally two boom angle limits may be programmed. The crane can then pass the above defined sector if the boom angle is above or below pre-programmed angle limits. The above feature may be programmed to act as an anti-collision system. If two cranes (or more) work within the same deck area, the system will limit the operation to avoid more than one crane operating in the "over-lapping" area at any one time. This feature requires a signal between the cranes.